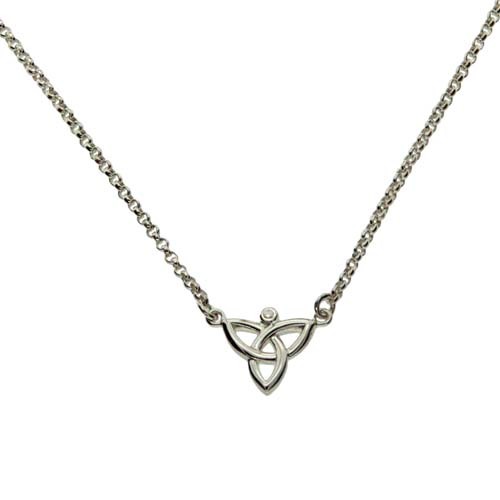 A Trinity Knot also called a triquetra is symbol that always has three points and interlocks. 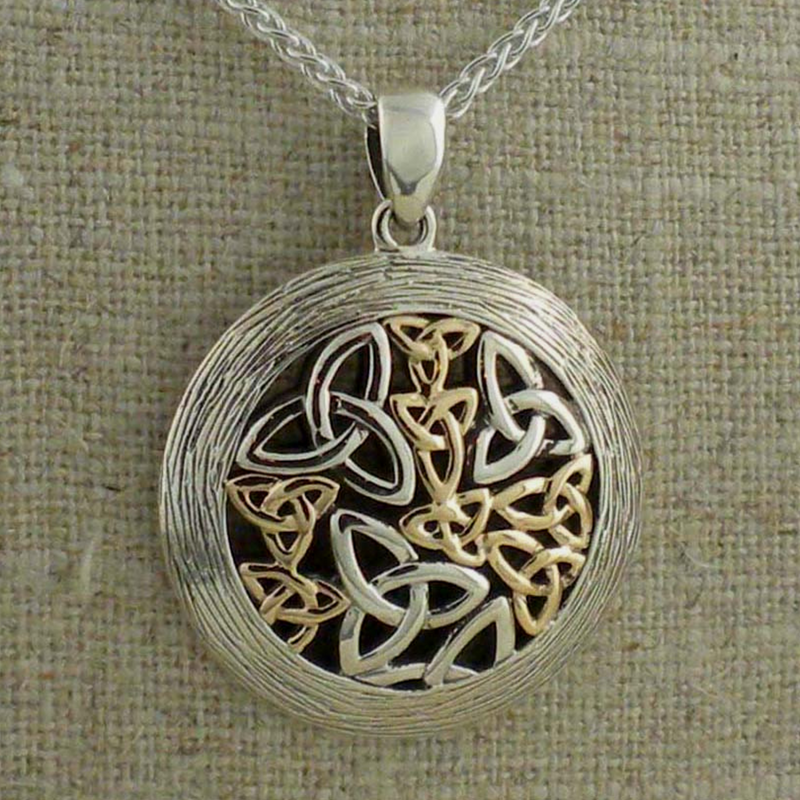 Trinity taken from the word Triquetra meaning three (tri) and quetrus (cornered). 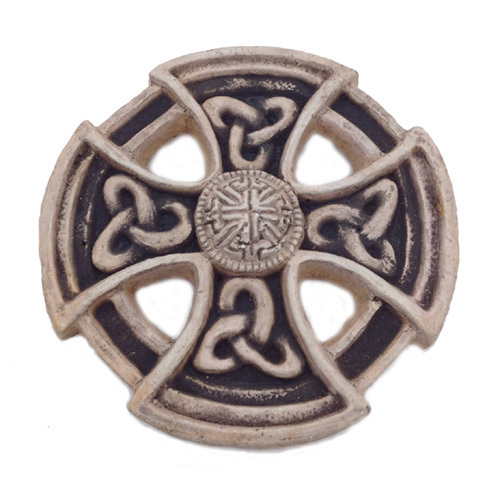 The Trinity Knot is notably found in the Book of Kells. The Trinity Knot or Triquertra symbol is used by Christians as a symbol of the Trinity (Father, Son and Holy Spirit). 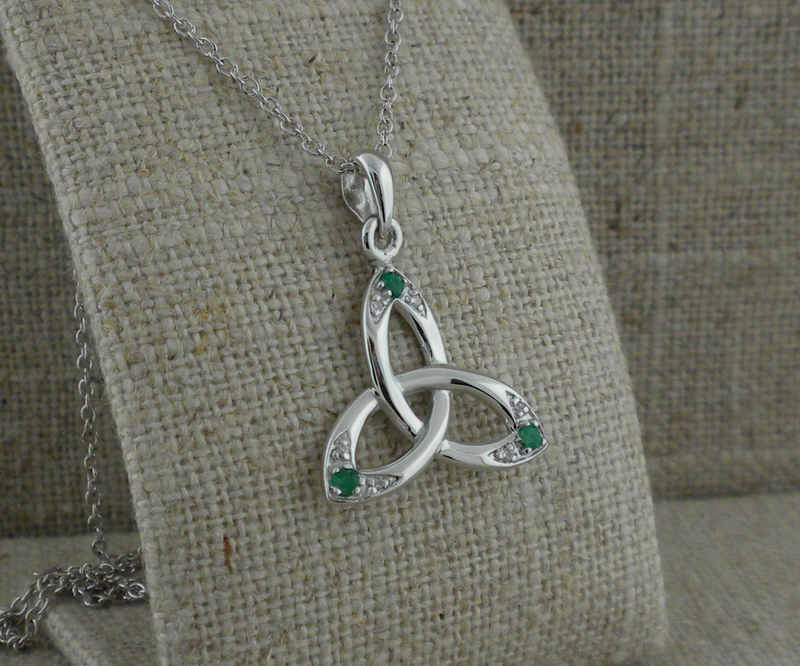 A contemporary Irish meaning of the Trinity Knot is love never ending because a Trinity Knot has no end.